Can birt's scatter plot correctly render two points having the same x-values? However, I am having some serious difficulties doing the same in BIRT. I choose my dataset of two points, choose the scatter plot, ungroup anything along the a-axis. However, the Birt just spreads same valued x coordinates across the x-axis and does not appear to render two points at the right coordinates. Is there any trick to getting true scatter plot in Birt or scatter plot is an impossibility within Birt? 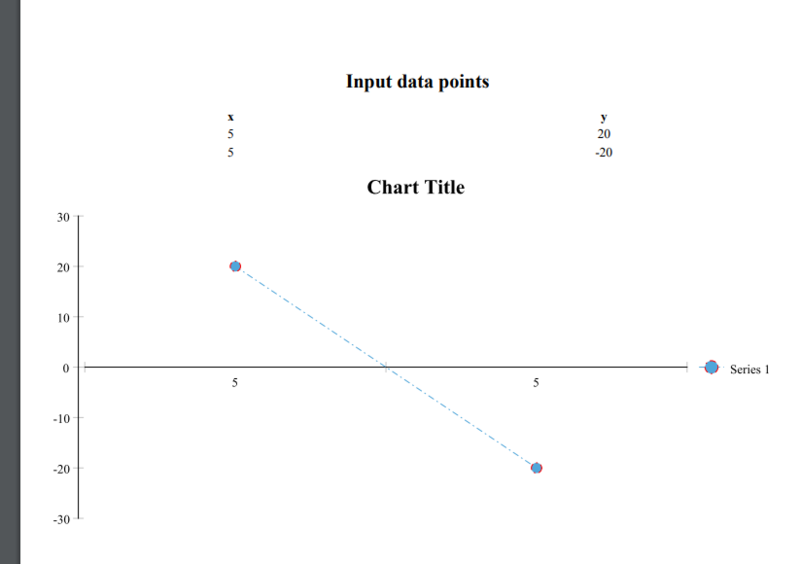 In the example I created (see attached), all of the points display as the same color. Can you see anything you are doing differently that might affect the color? In the chart editor, go to the Select Data tab and disable grouping on the X axis. 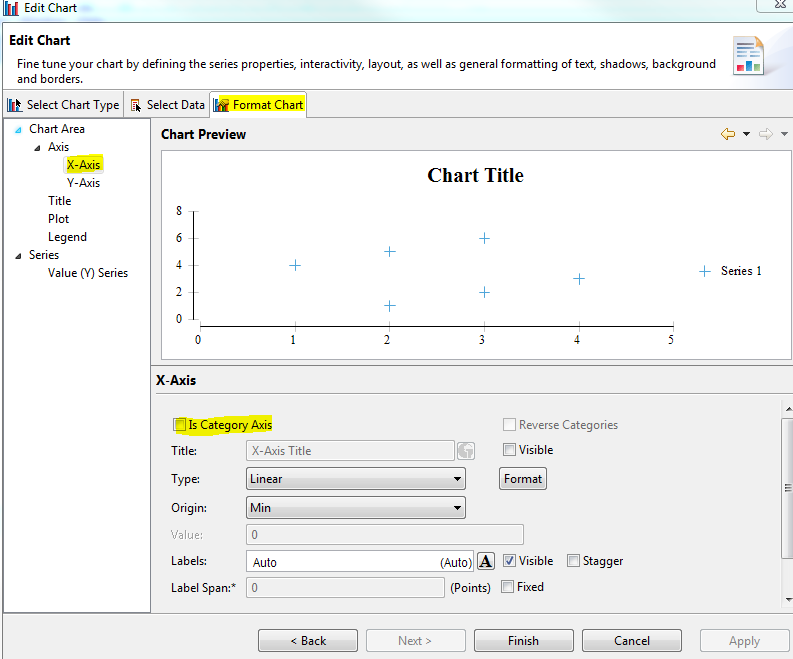 The choose the Format Chart tab, select "X-axis" on the left, and uncheck the checkbox labeled "Is Category Axis". Thanks for much! your suggestion worked like a charm. Now I see the scatter plot indeed. One more related question... on a scatter plot, all of the plotted points are shown in different colors as they feed of the color palette. I removed all the colors from palette except one and still each point has its own color. Is there any way to make the points all the same color? Thanks so much for the .rptdesign!! the issue was 'color by categories' vs 'color by value series'. Did not realize that up until your report.